Property 5: Bird House, relax in the mountains! Property 7: The Gnome Home at Shadow Mountain Ranch! Property 11: The Manzanita Cottage at Shadow Mountain Ranch! Property 15: The Enchanted Cottage at Shadow Mountain Ranch! Private Home With Sweeping Views! Extra-Comfy Bed, Satellite TV, Fully Stocked! Property 18: Private Home With Sweeping Views! Extra-Comfy Bed, Satellite TV, Fully Stocked! Bask in the beauty of San Diego’s back country in this cozy cottage. Property 19: Bask in the beauty of San Diego’s back country in this cozy cottage. Property 21: Studio with pool, surrounded by desert. Property 23: JULIAN MOUNTAIN COTTAGE a.k.a "THE TREEHOUSE"
Property 25: Cathleen's Country Cottage Welcomes Children and Pets! We provide free NETFLIX! Property 26: Borrego Springs Home w/ Desert & Mountain Views! 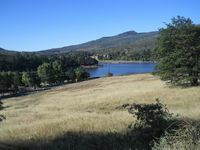 Property 27: *From $99.00 Nt Sun-Thurs* Romantic Palomar Mountain View Cabin with Hot Tub. Property 31: Vintage/Modern Cabin Fever! Fun on the Mountain! Property 37: Julian Farmhouse/Fenced 2 acres with spa, right outside Julian. Pet Friendly! Property 42: Grandma's Attic at Shadow Mountain Ranch! Really beautiful farm setting big house!